As the year comes to a close, you may find yourself invited to a number of roaring parties. Don’t go empty-handed. Be sure to bring a tray of sandwiches so you can be the star guest (bring a bottle of booze just in case someone tries to match your star power). This shot’s center model is a simple, undressed ham and cheese sandwich topped with shredded lettuce. Perhaps its turkey siblings are more up your alley? 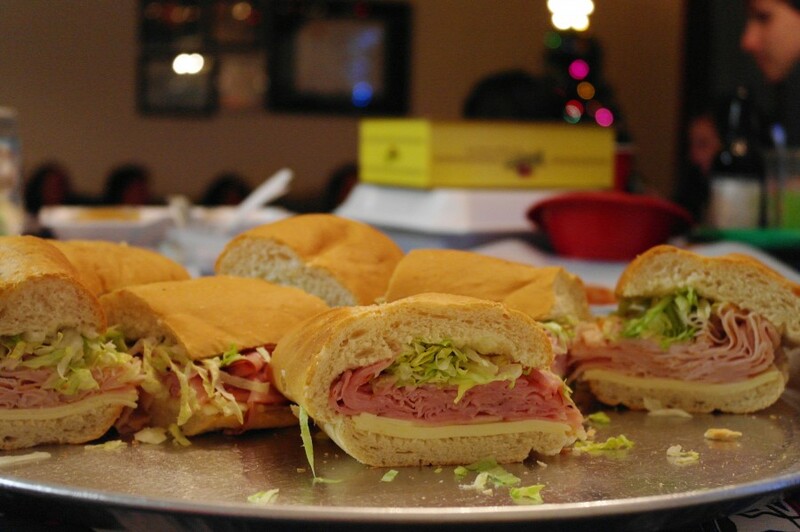 No matter what, every time is a good time for friends and family and sandwiches. Ring in the new year with your favorites and good luck in 2014.